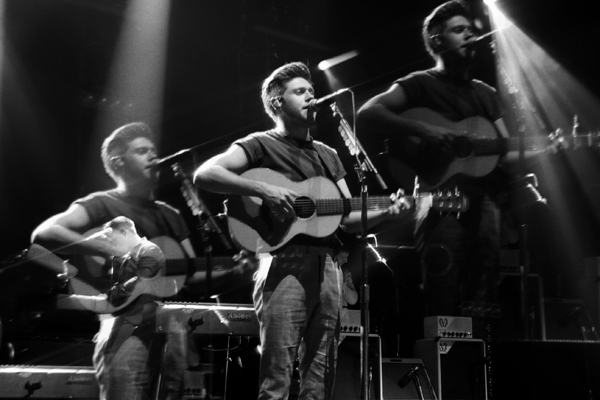 latest review: Review: Niall Horan - Spark Arena, June 2018. Music Inhaler - 'It Won't Always Be Like This' music video. Music The 1975 perform 'I Couldn’t Be More In Love' live for the first time. Music Sam Fender - 'Hypersonic Missiles' music video. Music Jonas Brothers - 'Cool' music video. Music Coup De Main presents: Lauv announces November 2019 New Zealand show. Music Haim say they hope to release new music soon. Music Dominic Fike drops two music videos for '3 Nights'. Music Kevin Abstract gives taster of new solo music. Music Billie Eilish opens up about Tourette syndrome and her famous supporters. Music Watch: Wallows take you behind the scenes of ‘Scrawny’. TV It's a 'Chilling Adventures Of Sabrina' love triangle. Music Billie Eilish presents ‘The Billie Eilish Experience’. Music Aidan Gallagher to release 'Time' video on May 10th. Music Watch: Billie Eilish covers ‘The End Of The World’.